The luxury real estate market in Miami and Coral Gables sprang to life about a year ago. An extreme oversupply of homes for sale quickly shrank to nearly normal inventory levels. Perhaps another sign of strength is that some recent buyers of luxury properties in Miami and Coral Gables are attempting to flip the houses — i.e., sell them quickly for a large profit. 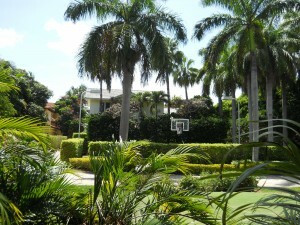 15 Star Island Drive is on the fabulous Star Island in the middle of Biscayne Bay. There are just 34 properties on Star Island, and 15 Star Island Drive is adjacent to the home of Philip and Patricia Frost at 21 Star Island Drive, which is arguably the grandest estate in all of South Florida, with nearly 32,000 square feet of living space on over 6 acres of waterfront land. 15 Star Island is a mere 8,621 square feet on a 40,000 square foot waterfront lot. The previous owner of 15 Star Island was Claudio Osorio, an embattled entrepreneur who declared bankruptcy in 2011. The property made news when a bankruptcy judge thwarted a would-be buyer’s attempt to enforce a contract to purchase the property for $10 million. The judge held an auction instead, and the property brought $12.72 million at auction in November 2011. The buyer has now re-listed the property for $16.9 million. 6611 Leonardo Street in Coral Gables is not as ritzy, but still in the luxury-home segment of the real estate market. It was listed for sale at $2.7 million in January 2009 and eventually sold for $1,215,899 in a short sale in March of this year. 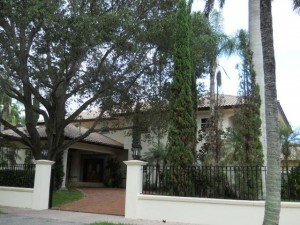 The buyer re-listed the property in June for $1.995 million, and has since reduced the price to $1.799 million. As auctioneers like to say, it’s worth what you pay for it. posted by // This entry was posted on Saturday, August 18th, 2012 at 7:59 pm and is filed under Properties in Focus, Real Estate News. You can follow any responses to this entry through the RSS 2.0 feed.